The CW Renews Four DC Comics Shows! The CW Network has given early renewals to seven of its primetime series for the 2017-2018 season, including four DC Comics shows (missing is iZombie). The announcement was made today during the network’s session at the Television Critics Association Press Tour in Pasadena by Mark Pedowitz, President, The CW. 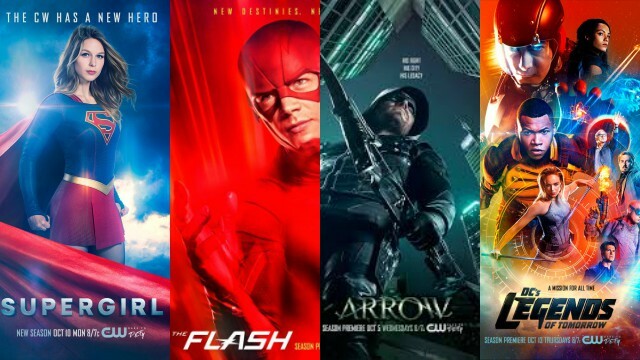 The series being ordered for the 2017-2018 season include Arrow (Season 6), DC’s Legends of Tomorrow (Season 3), The Flash (Season 4), and Supergirl (Season 3). Specific premiere dates for each series will be announced at a later time. To read about the rest of the renewals, click here. Are you looking forward to more seasons of the DC Comics shows? Let us know in the comments below!